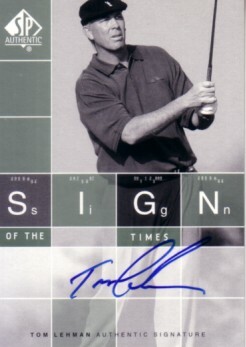 2002 SP Authentic Sign of the Times certified autograph card of 1996 British Open winner Tom Lehman. With certificate of authenticity from AutographsForSale.com. ONLY ONE AVAILABLE FOR SALE.